A company in Tigard has created a way to recycle polystyrene into more polystyrene. A very small amount of polystyrene is currently recycled and often ends up in landfills or the ocean. Portland has an extensive waste and recycling program for garbage, bottles, cans, food waste, yard waste and paper — but where do all the plastics go? Things like Styrofoam, or packing peanuts that fill boxes from online deliveries or electronics purchases? Polystyrene is a commonly used material that often gets thrown into landfills. 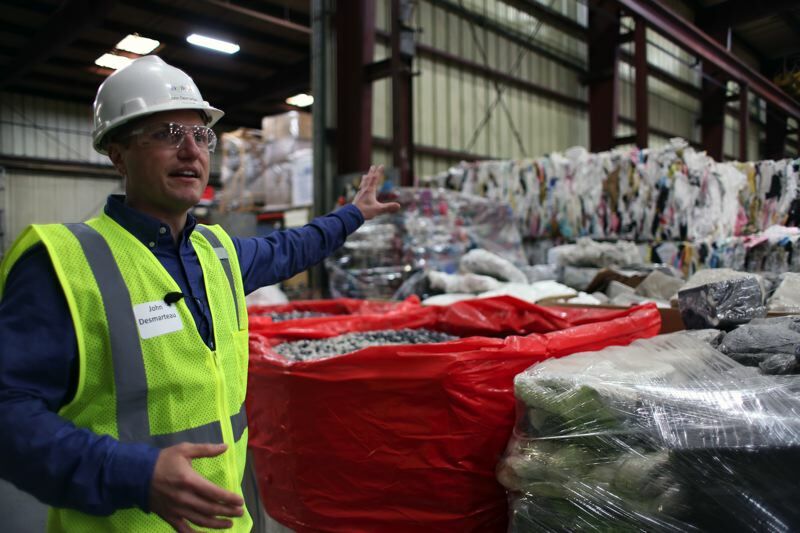 According to Agilyx, an environmental solutions company located in Tigard, the U.S. recycles just 1.3 percent of polystyrene used. 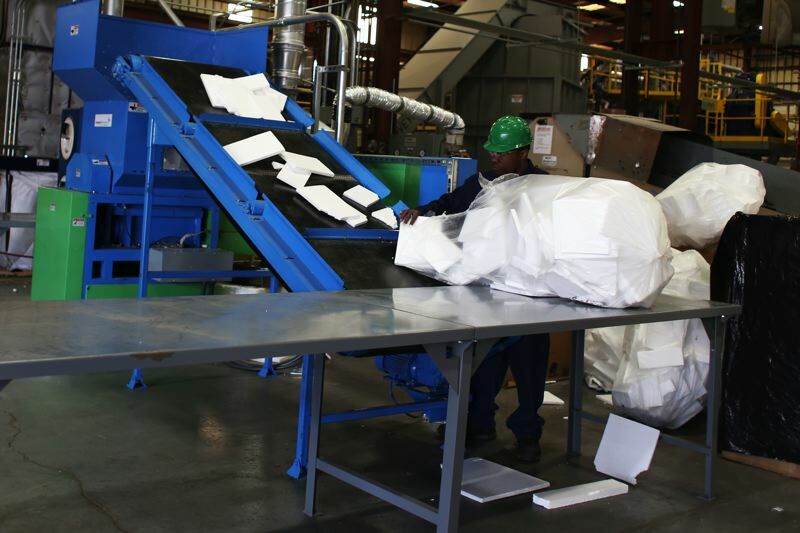 The company has developed the first way of recycling polystyrene back into polystyrene. They held a ribbon cutting Thursday, April 19, to celebrate the new direction of the company. "Polystyrene is a very versatile, cost effective and valuable polymer used in our everyday lives," said Joe Vaillancourt, chief executive officer of Agilyx. "However, it is one of the least recycled materials in today's recycling programs. We are proud to have commercialized the first chemical recycling solution, creating a more sustainable end-of-life solution for polystyrene." Polystyrene can be identified by its "'resin code" — a number six within the recycling symbol on most materials. Some material doesn't have this code, but can still be recycled. 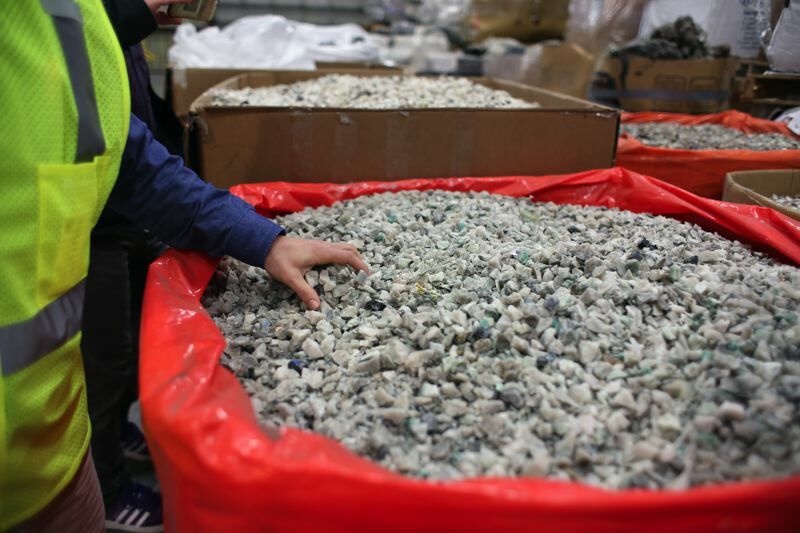 "The easiest way to identify polystyrene foam is it looks like a bunch of balls stuck together and it will break or flake off if bent," said John Desmarteau, project engineer at Agilyx. Agilyx receives this material and melts it down back into liquid. It's sent to a refiner to be cleaned, then is sent to a manufacturer to make new products out of the material. By recycling the material, less plastic will end up in landfills and the ocean, and by recycling the oil used in the production of these plastics, less will be taken out of the ground to make future products. "Styrofoam (polystyrene foam) has a useful life of mere hours or days, but exists in the environment for hundreds or thousands of years," said Jeanne Roy, co-director of the Center for Earth Leadership. "It can be carried by the wind, washed into storm drains, and make its way to the ocean, contributing to a mass of floating plastic debris. Marine mammals mistake it for food, and it remains in their guts, often causing death by starvation." Polystyrene is used to make items including fast food containers, packaging, bike helmets, parts of cars, and coolers. The molecule used in the process of making polystyrene can be used again and again, which is what Agilyx is taking advantage of. Tyrone Neighbors, owner of Active Daily Fitness, has partnered with Agilyx to give them all of the Styrofoam that comes with exercise equipment he orders. Within the past year, he started bringing Agilyx truckloads of packing material from treadmills and strength equipment. "It gives me peace of mind that's it's not ending up in a landfill," Neighbors said. He gets the material prepped and bagged, then Agilyx takes it from there. According to Agilyx, this process has a 50 percent smaller carbon footprint than traditional polystyrene manufacturing. "They're doing something even the biggest petrochemical companies aren't doing. It's impressive," Vaillancourt said at the ribbon cutting. At the event, attendees could get coffee in Styrofoam cups, then the cups were thrown into the polystyrene compactor and eventually put through the entire system. There was also a tour, where a member of the Agilyx team explained the process and the equipment used.